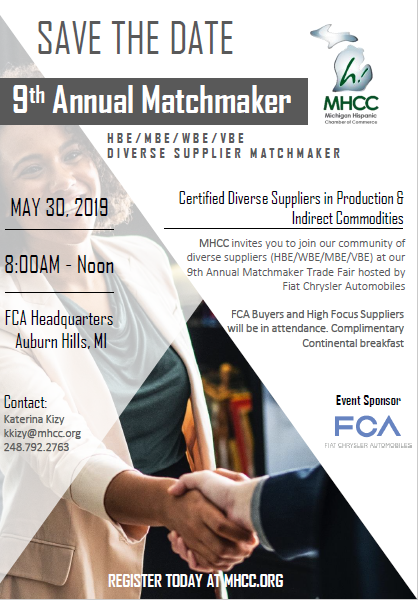 We are excited to bring you our 9th Annual MHCC Matchmaker hosted by Fiat Chrysler Automobiles (FCA). This year's Matchmaker offers the amazing opportunity to meet face-to-face with 100 buyers and commodity champions from FCA and High Focus Tier 1 Suppliers actively seeking HBE/MBE/WBE/VBE suppliers. Rather than having HBE/MBE/WBE/VBE exhibitors like prior years, we invite our HBE/MBE/WBE/VBE attendee's to walk the floor and meet directly with buyers and commodity champions from FCA. This new Matchmaker format optimizes your ability to present your product or service directly to buyers from direct and indirect purchasing in a "speed dating" format. 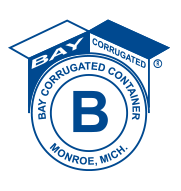 So, refine your pitch and make headway to a purchase order. Space is limited for this exciting Matchmaking event! Register today! Shuttle Service from The HUB Stadium to FCA Headquarters begninning at 7:30a.m.